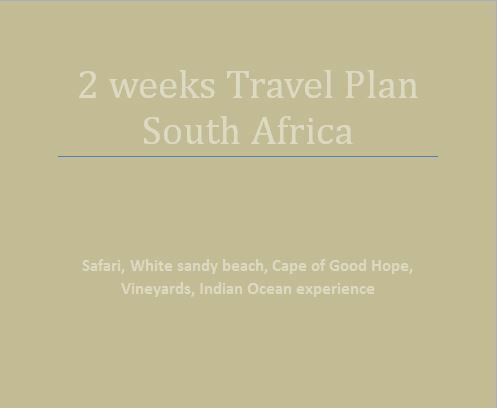 You want to enjoy the African experience, make a safari, enjoy the white sandy beaches and taste the great South African wine but you don't have time to organise your trip. This travel plan gives you all. It contains a list of the main attractions you should not miss, a schedule that gives you enough time to enjoy each place and pointers to the accomodations and place to enjoy. You just have to book your flight. Enjoy your trip! !